Kale is a studious superhero. One of the most nutrient-dense foods on the planet, it definitely knows its ABCs. A is for antioxidants like beta-carotene, flavonoids and polyphenols. Antioxidants help neutralize the free radicals that increase your risk of heart disease, cancers, type 2 diabetes and more. The specific antioxidants in kale can also help protect your eyesight and regenerate bodily tissues including skin and hair. Red varieties of kale may contain nearly twice as much antioxidants. B is for bones. Vitamin K deficiency has been linked to brittle bones, and 1 cup of kale contains seven times the recommended daily dosage. 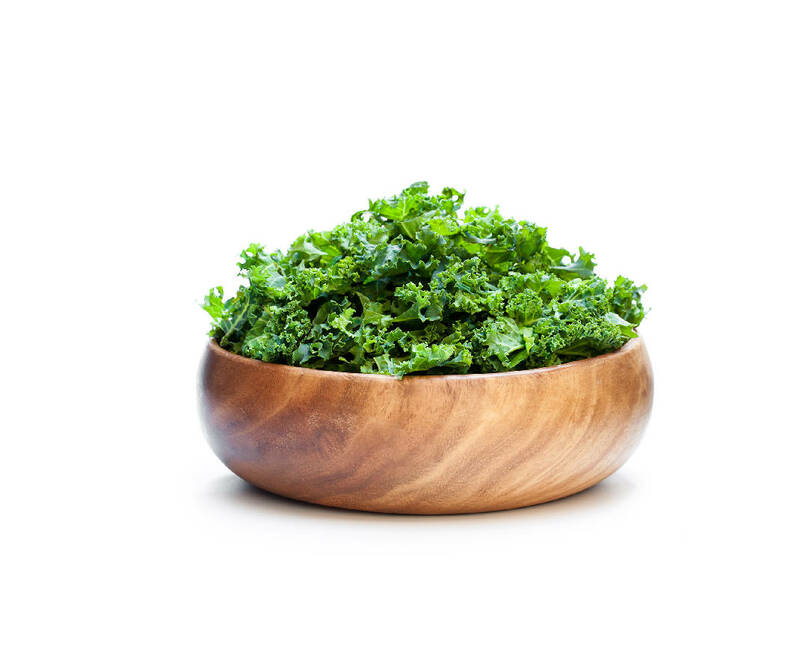 In addition to activating bone-building (and blood-clotting) proteins, Vitamin K helps the body absorb calcium — which kale has two times more of per calorie than milk. We all know calcium helps to build and maintain bones, but it also aids in muscle, nerve and blood vessel function. C is for cardiovascular health. Kale delivers a one-two punch to heart disease by helping to lower your bad cholesterol and increase your good cholesterol and intake of potassium. Potassium dilates blood vessels, helping to support your heart (and the rest of your body) while lowering your blood pressure. Potassium also helps guard against stroke, kidney stones and loss of muscle mass. According to multiple medical sources, high potassium intake can reduce your risk of dying from all natural causes by 20 percent. CF Produce is one of the dozens of vendors at Lookout Mountain Farmers Market, which operates locations around town on various days. To learn more, visit lookoutfarmersmarket.com/index.html. Pick kale with firm, deeply colored leaves and moist, hardy stems. The leaves should look fresh, be unwilted, and free from signs of browning, yellowing and small holes. Kale with smaller-sized leaves will be more tender and have a milder flavor than those with larger leaves. Place kale in a plastic storage bag, removing as much of the air from the bag as possible. Store in the refrigerator for up to five days. The longer it is stored, the more bitter its flavor becomes. Do not wash kale before storing because exposure to water encourages spoilage. 1. Destem kale by pulling leaves away from the stems. Wash leaves; spin or pat dry. Stack leaves, roll up, and cut into thin ribbons. Put kale in large mixing bowl. 2. Add salt, and massage into the kale with your hands for 2 minutes. 3. Stir onion, currants, apple and sunflower seeds into kale. Dress with oil and vinegar. 4. Taste for salt and vinegar, adding more if necessary. When at desired flavor, toss in cheese. *Cook's note: You can skip the Gorgonzola or substitute goat or feta cheese. For more seasonal recipes from CF Produce, visit getoutchattanooga.com.